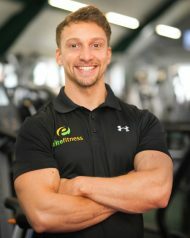 All of our Personal Trainers are fully qualified and insured. Knowing this you have the peace of mind that not only are our Trainers fully motivated and committed to helping you improve, but are also highly skilled and knowledgeable to deliver the right programme for you. It is our aim to make you feel competent and confident with exercising and making it an important part of your life, we will aim to motivate you to WANT to achieve your best. It doesn’t matter if you are a complete novice or an experienced athlete, we will enable you to exercise at a level that suits you and is realistic as well as challenging. It’s not all about pounding away on one machine or the other; it’s about YOU and your goals. I have always been an active person and I take part in many sports including Triathlon, Running, Football, Cricket, Golf (some better than others!). It is my aim to pass my enthusiasm for maintaining a healthy lifestyle onto those who want to improve themselves. I have completed many fitness events over the years including Half Marathons, Marathons, Sprint Triathlons and Long Distance Triathlons. With over 18 years in the fitness industry I would like to think that I am well placed to help you and encourage you to improve your fitness levels at a rate that is appropriate to you. I have been running my personal training business for over 12 years now and have built a great team around me with Jack, Will, Jo and Lucy. As a collective we strive to help improve those who want to improve! I am deeply passionate about maintaining a healthy body and I continue to search out new and interesting ways to challenge people within the gym to discover new boundaries and break previously perceived limitations. I have been working alongside Russell for over 7 years now and it has been a great experience to put the theory from my studies into action in the gym environment. I can often be found staying behind after work to talk to other gym members about ways in which they could tweak their routine to further improve. The learning never stops! I have always been a very active person and had a love for fitness. Training clients to achieve their fitness goals by creating a fun and effective program to educate them and reach their potential is important. I have played different sports throughout my childhood which sparked my interest in the health field, which in turn helped me pursue a career in the fitness industry. Training is not just a way to stay in shape, for me it should build a good base to improve the way we live.” I enjoy the buzz of the group classes that i take at elite Fitness. They are proving to be a fun way to engage with many of my clients and gym members. I discovered my passion for exercise from a young age – it started with swimming and gymnastics and I have continued to participate in a variety of sports and exercise ever since. When I first joined a gym my goal was to improve my strength but I soon realised I was gaining so much more: yes, I felt stronger but I also felt healthier and happier all round. 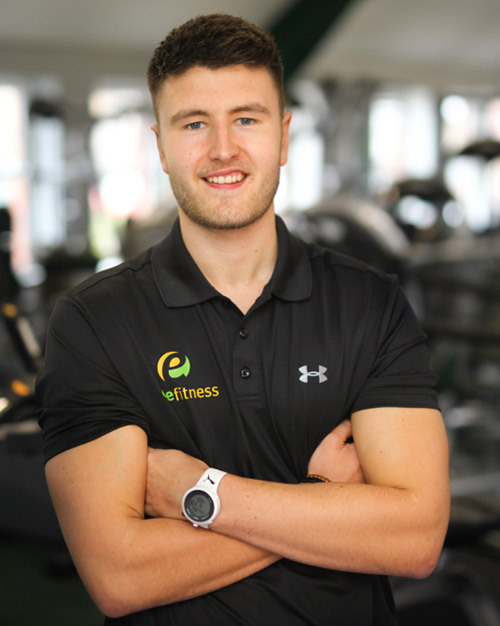 My active, healthy lifestyle & ongoing interest in understanding how the body functions and moves efficiently led me to pursue a career in the fitness industry. Whatever your goal(s) may be, my aim is to share my positive experiences of health and exercise by providing you with the guidance, motivation and support you need to achieve those goals and, equally importantly, have fun doing so! I love working in such a dynamic environment and I feel this is reflected in my cheerful nature and good sense of humour that I bring to the gym every day. My enthusiasm for maintaining a strong, healthy body and mind through exercise and nutrition was prevalent from a young age where I participated in various sports. 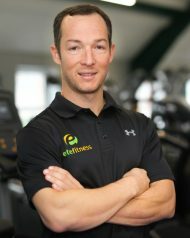 Having enjoyed a diverse range of sport and my sincere interest in the relationship between exercise, nutrition and optimum health led me to pursue a career in the fitness industry. I believe training to be an incredibly important element in maintaining a healthy lifestyle and I hope to help others discover a similar passion for exercise and become a happier, stronger and more confident version of themselves. My aim is to guide and encourage gym members and clients to achieve whatever their goals may be; through ensuring they have a positive experience and help them to surpass previously perceived limitations through discovering new and enjoyable ways to engage in exercise. 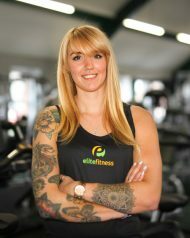 I love helping and challenging people to achieve what they never thought was possible by ensuring they are motivated to make further improvements which is reflected in my humour, positive energy and supportive nature which I display in our gym environment.